The above info came from Tiffany Wiseman, and was edited by yours truly (contact me). The image came from LELOA. 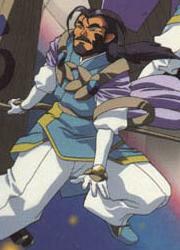 Azaka is the older of the two good knights shown in Tenchi Universe . 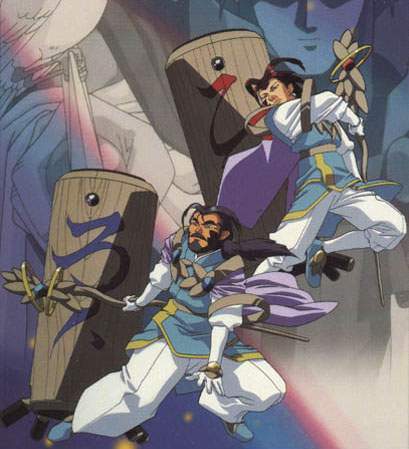 They were in suspended animation until Episode #22 "No Need For Knights", in which their barrel-like counterparts with the same names lent them energy. They're last shown in Episode #26 "No Need For A Conclusion". He is kind and wise, constantly upholding his duty to protect the Juraian emperor.